Betfair Poker says that its VIP Club allows players to “rake in the rewards,” and they aren’t too far off. Through the Betfair Poker VIP Club, players can earn up to 35% in cashback just from the VIP program, an impressive sum for an online poker room these days. This is even before considering other bonuses and promotions. In this post, we tell you everything you need to know about the VIP program and how to maximize your benefits. 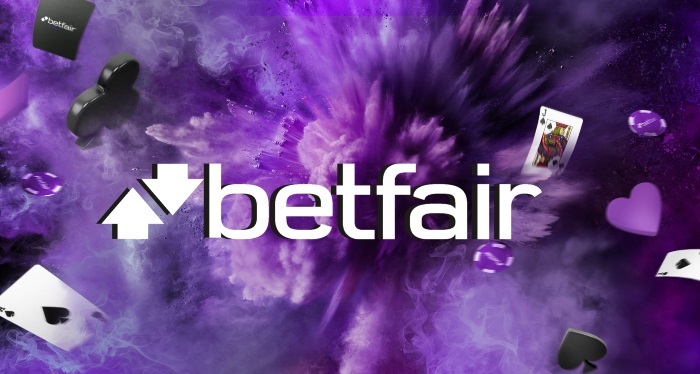 For better or worse, the Betfair VIP Club is primarily a “cashback” rewards program, meaning you will be rewarded for frequently play based on the amount you play at the poker room. 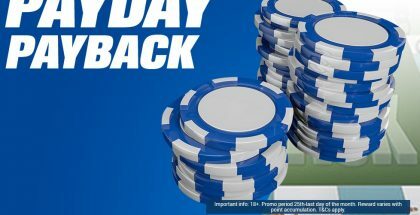 Fortunately, many poker players favor a good cashback program because it rewards players proportionally based on how much they play. The higher you move up in status levels, the greater your monthly reward will be, with Gold status players receiving the biggest benefits of the program. Not only is the Betfair Poker VIP program based on a simple cashback system, there are only three levels to the VIP Club: Bronze, Silver and Gold. This makes the analysis and understanding of the VIP program quite easy. All players start out at the Bronze level, while the Silver and Gold status levels will require you to earn a certain number of Status Points per month. As you move up in status levels, you will receive a higher VIP Poker Points multiplier, which will be at the heart of how much cashback you earn. For some reason, Silver players earn VIPs at the same rate, so the main perk of the program is when you achieve Gold. When achieving a VIP status level, you will keep that status for the remainder of the month and the following month. To avoid interruption in receiving a maximum rate of cashback, you will need to earn your points every month. However, if you decide to take a break from Betfair, you can easily come back and achieve your VIP status level — a €500 rake threshold is relatively easy to attain for many players). How are Status Points earned? 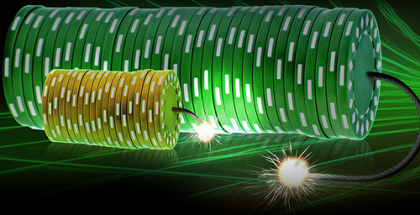 Betfair Status Points are earned at a rate of 25 for every €1 of buy-in fees or rake. If playing in the pound currency, you will earn the equivalent of 30 for each £1 in rake or buy-in fees. How are VIP Point earned? VIP Points, which are abbreviated as VPPs, are earned alongside Status Points. Betfair players will earn anywhere from 3x to 5.25x the rate of Status Points, depending on their status level. Once you have earned your status and have accumulated VPPs, it’s time to turn them into cash. To do so, you will need to go to the “Cash Out” option under “My Account” at Betfair Poker. You can receive €1 for every 375 VPPs you exchange with a minimum of 3,750 points — for €10 required for each exchange. The base rate for exchange is around 20% rakeback with up to 35% rewarded to players who earn VPPs at the Gold level (5.25 VPPs for every Status Point). As an alternative to turning VPPs into cash, you can also exchange them for VIP Club tournament entries.